A stereo receiver gives you a lot of features and performances about everything in certain case like listening to music, radio, or so on. All you can do them easily with only one device installed in your vehicle. You can also choose your best CD or DVD to be enjoyed while you are driving. Pioneer and Kenwood products are good and it is releasing everyday, but some of the particular models come with additional features and more facilities. 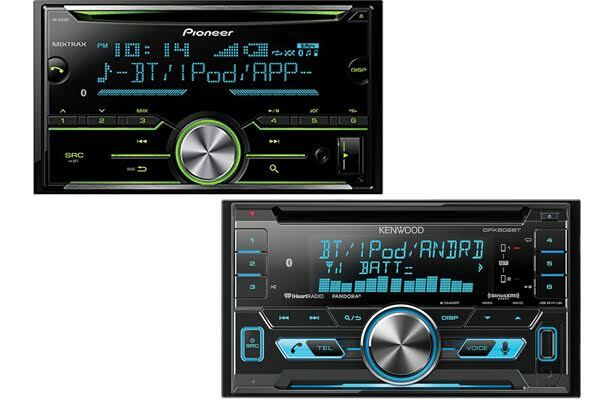 One if the best-performed models are Pioneer FH-X731BT and Kenwood DPX502BT. Kenwood DPX502BT is featured with AUX connections and USB cable that you can connect to your smartphones or MP3 players. If you use CD player with this product, it equips with the playback option. The files that support with this receiver are MP3/WMA/AAC/FLAC. And, the receiver, which supports the devices are Android and then iPod so you can enjoy with your smart phones or any other devices while listening music. It is rapidly charging your compatible Android smartphone with the USB port, up to a maximum of 1.5A. With the Dual phone connection, this device also allows two phones to be connected for hands-free operation. Easily switch between both phones with the touch of a button. Answering, calling or searching your phonebook on your phone is made simple through an intuitive GUI. There are 13 Band EQ and Drive EQ as equalization that offer detailed audio tuning to match your taste and listening environment. Unfortunately, all we find is just on the SiriusXM compatible radio, do you know it well right? This channel does not feature in Pioneer FH-X731BT. But, for the Kenwood DPX502BT. Overall things are good, except in the with the memory card slot which does not provide the USB memory card.